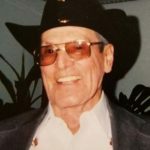 David O. Contreras, 90, passed away in Catalina on Jan. 17, 2019 due to prostate cancer. David is preceded in death by his first wife of 38 years and mother of his four children, Frances; and daughters, Clorie (Roger) Buzan and Isabel (Larry) Medina. He is survived by his wife of 24 years, Viola Contreras; children, Henry (Lydia) Ortiz, Rose (Matt) Hunter, Joy (Jim) Williams, Lynda (Dave) Bradley, Roy Barlow, Leon Barlow, Mark Mullins, Julie (Richard) Rogiers; 46 grandchildren and 18 great-grandchildren. David attended school in San Lorenzo, New Mexico. He joined the Army Air Corps in El Paso on July 29, 1944 at the age of 16, serving honorably until Sept. 29, 1947, then to enter the New Mexico Air National Guard until April 15, 1950. He started his civilian life in San Lorenzo in 1950, working for Star Mining Company in Fierro Hanover in New Mexico, Magma Copper Company in San Manuel; then Golf Mineral Resources in Grants, New Mexico, before retiring. Then, David opened up Dina’s restaurant in San Manuel in 1995, which closed in 2000. David loved to garden and make crafts, riding horses, fishing, traveling, camping, enjoyed going to the casino, loved to paint and loved playing his accordion. He loved his family and spending time with them. He loved watching westerns. His favorite patron saint is San Lorenzo. David will be cremated. Services will be held at Funeraria del Angel, 7 E. University Blvd. in Tucson. Services will be attended by military honor guard.